My favorite messages were the opening talk by Russell Moore, the message on the most segregated hour in America by Charlie Dates and Trip Lee‘s words on racial unity. 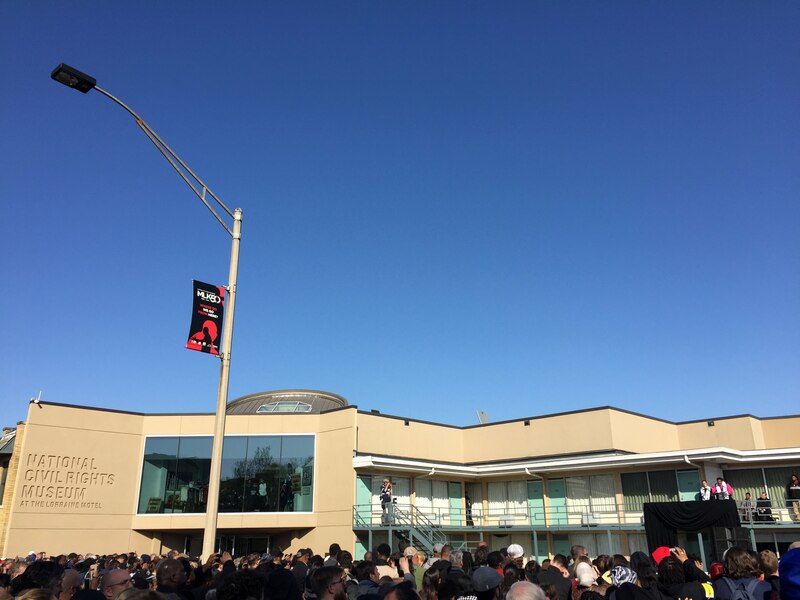 Russell Moore talked about how there is a wreath at the Lorraine Motel to honor and remember Dr. Martin Luther King, a great American prophet, but that while he was alive, white evangelicals not only did not honor him, but actively worked against him. And so it is dangerous for us to stand up today and say how much we revere his memory if we are not willing to listen to the words he preached while he was alive. Moore used the passage in Matthew 23 where Jesus condemns the Pharisees for building tombs for the prophets and decorating the tombs of the righteous to compare the way we misuse MLK quotes today by making them benign to activating conviction and change in our lives. Dr. Charlie Dates opened his talk by reading words from MLK’s Letter from a Birmingham Jail, a reminder that “the problem of segregation in America was a church problem.” By choosing to conform to the world, Christians have created a segregated church. He went on to explain that “the notion of righteousness is related to justice.” The two cannot be separated from one another. In fact, they are often interchangeable in the Greek. And yet, we in the white evangelical church have pursued a version of righteousness that ignores injustice. I had tears pouring down my cheeks while Dr. Charlie Dates spoke about how white churches have ignored systemic injustice, and I listened to him again when I got home and again cried as he preached about things that ought not be. The part that most stood out to me from Trip Lee’s talk was about the way we, in the church, follow the culture like “insecure teenagers,” even with regards to issues we champion. He talked about how diversity is in style right now, but that it’s unhelpful for us to have “trendy compassion” because it doesn’t last. And what’s worse is that it makes it difficult for people to trust us. I personally am guilty of following and caring most about issues that are trending, so it’s important to me to figure out what it looks like to live daily a life that loves justice. I’m grateful for each of these modern day prophets, and I would encourage others to listen to their messages. Sidenote: My favorite message would probably have been Dr. Christina Edmonson’s, but she was only on panels. Next time, please give that woman a keynote. One of the ways I am trying to honor the legacy (and the message) of the Rev. Dr. Martin Luther King Jr. is by participating in the Poor People’s Campaign, one of his last initiatives that died with him, but has been reignited by the Rev. Dr. William J. Barber, II. We arrived at the Lorraine Motel just in time to hear Dr. Barber speak, which was a treat for those of us there who were already familiar with his teaching. I read his book, The Third Reconstruction, with a group in Little Rock last fall and had the opportunity to learn and discuss with others how we can participate in a movement that is “fighting to end systemic racism, poverty, the war economy, environmental destruction, and other injustices.” The movement is active in 40 states, and I’m thankful that Arkansas is one of them. It’s one of the small ways I am trying to put feet to the things God has put in my heart. I’m super thankful for the sweet group of folks I traveled with to Memphis from my church. It’s a joy to be doing life for this season alongside these brothers and sisters. PS. Semi-related. The Atlantic did a beautiful issue for MLK50, and I particularly enjoyed Vann R. Newkirk II’s article about how MLK’s death gave rise to hip hop, complete with a playlist.